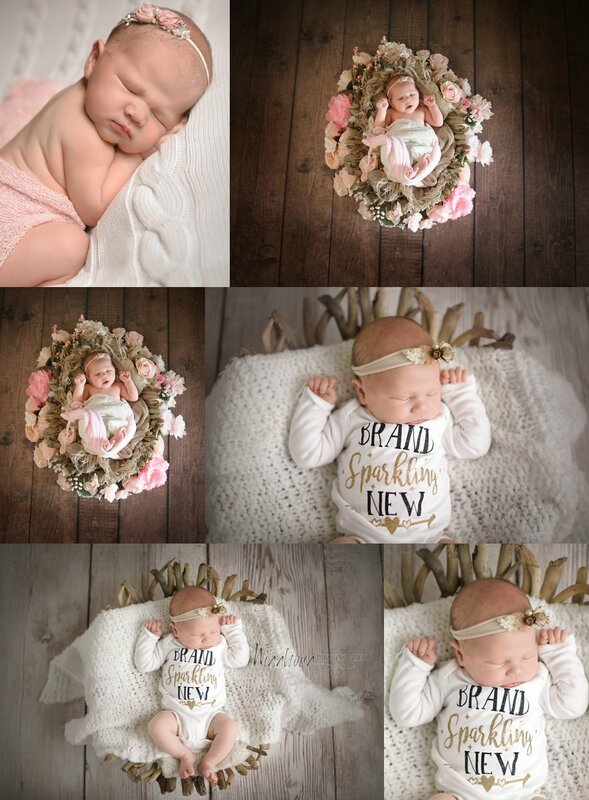 I had the most perfectly sweet newborn session last week. I met Miss Lillie and her mom for the first time but I felt like I already knew Meghan from or phone conversations. She was just as warm and friendly in person as she was on the phone. Miss Lillie was ready to get started right away but she was a big fan of her pacifier. Mom picked classic soft pink for the color scheme. This is probably my favorite since I only had boys to dress up. 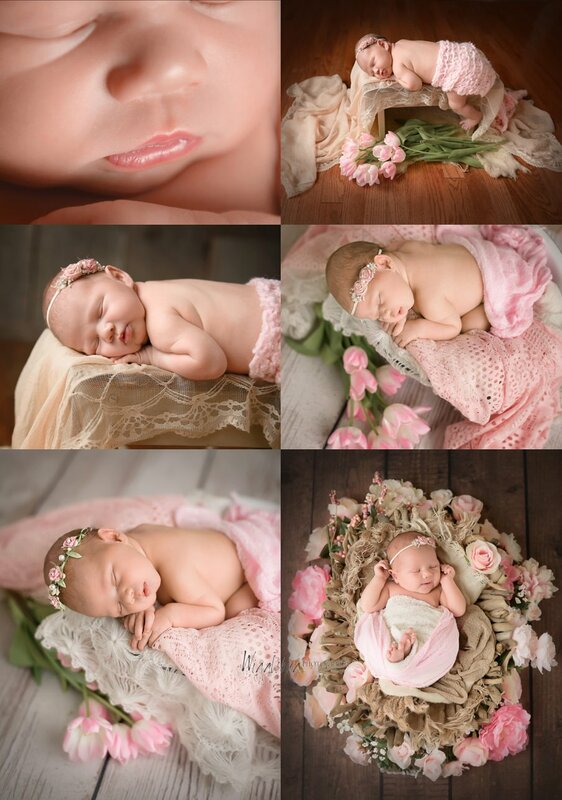 I love all my pink and cream wraps and headbands. For this session I ran to the store quick and picked up these fresh tulips. I could not decide between the light soft pink and the bolder pink so I got them both. Good thing too! 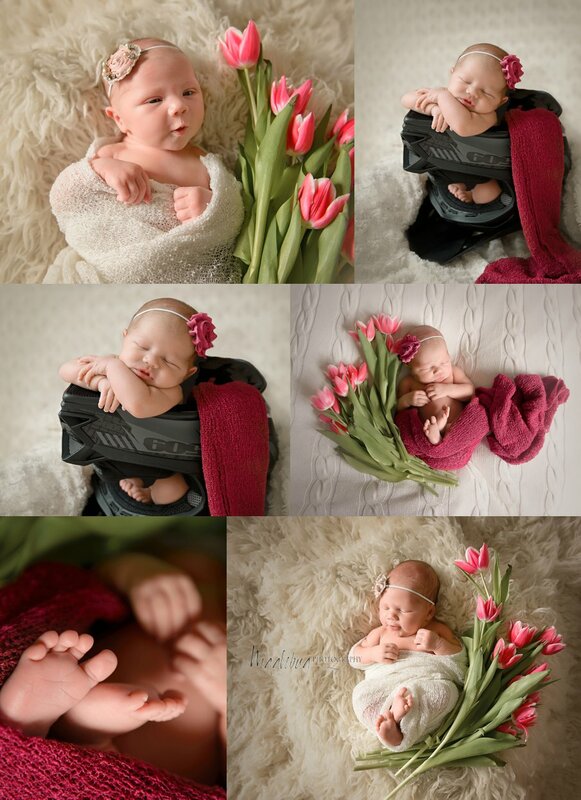 While the soft pinks went with most of my wraps and props, Meghan brought a bold pink wrap and headband to go with Daddy's Helmet! Posing a newborn in this kind of helmet was a first for me but with lots of help from mom (and a little photoshop) we were able to do it. 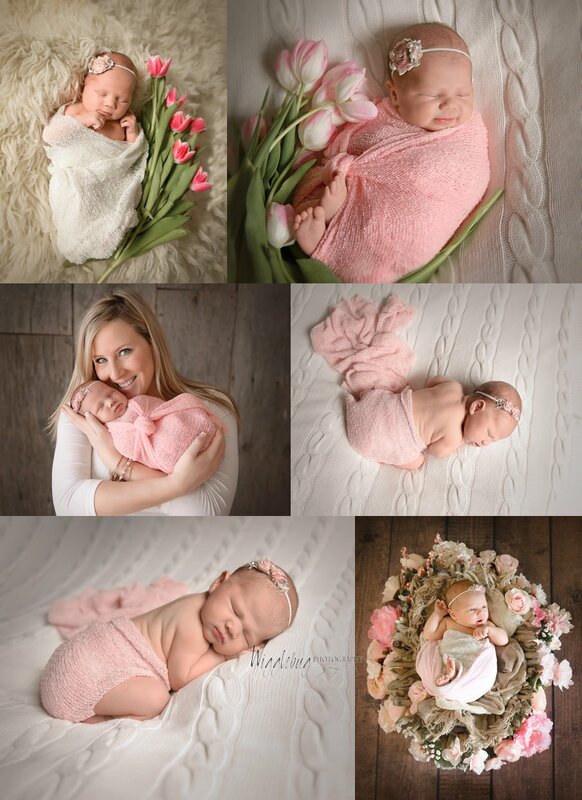 I just could not decide on a few for this session so here is Miss Lillie's entire session! Enjoy!